So it’s been nearly 4 weeks since I arrived in Thailand and so far life has been pretty sweet. 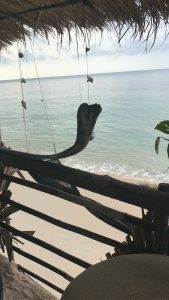 So I wanted to share my thoughts on Koh Samui for Digital Nomads. First thing to note, I’ve only met a couple of Digital Nomads so far, here on the Island. Why? I haven’t been to coworking spaces or anything like that, I’ve just been doing my own thing and moving around the island working wherever I was at the time. Pretty much every bar, restaurant, spa and public space has some form of free wifi. However, some of them can be awful. You’ll quickly get a feel for the places you can spend more time in and get more work done. A lot of places on the island have wifi that requires a “signup” through Facebook/Social – You can skip this and just use your email, but to be honest, I haven’t received a single email from any of the bars/restaurants, so nothing to worry about there. The True Pocket WiFi saga! I bought a True Pocket WiFi device. It uses 4G, you can fill it up as and when you need more data. It works VERY well. You basically become your own hotspot. However, I spent 4 days trying to activate. You can read the full story here TrueMove Pocket Wifi in Thailand. Quick tip: Go straight to Central Festival Samui, shopping centre, go to the True shop on the first floor and buy it from there. They will activate and add the credit/package that you want. If I had known this, I would have saved myself some serious time and effort! I am my own hotspot now. 1,990 BHT to buy the box and 750 BHT to have 8gb over the next 30 days. I’m always connected which is great. Anywhere, even on beaches, I get wifi. As long as you’re content with your own company and can work alone, anywhere, you’ll love Koh Samui. There is tons to do and you can avoid the tourist traps pretty easily. The northern area of Mae Nem is great, with a mix of lost little beaches, and the hustle and bustle of the main road with restaurants, shops etc. I’ve walked a lot around the island, you can find out more about that in my vlog Unplanned As Always: Walk Around! I don’t recommend staying long term in Lamai or Chaweng beach area. There far too touristy! For me it just wasn’t what I was looking for. Far too many tourists, not the best beaches, nowhere quiet to collect your thoughts and worst of all, no great places to sit and get your work done. Little Beach in the South of Koh Samui – Near Villa Pavanna – An amazing villa to rent for only $1,100 per night! 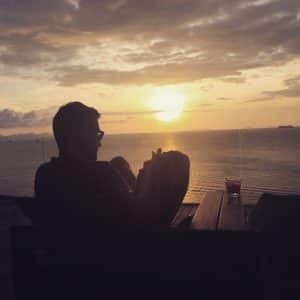 How much to live in Koh Samui as a Digital Nomad? It’s all about choosing the right place to stay. For short stays in 1 place, approximately £10-£15 per night is doable. For longer stays check out airbnb, you can find a 1 bed apartment for 30 days for about £400 for the month. Eating out or eating in? When I have a kitchen in the place I’m staying I’ll make my own breakfast everyday. Lunch or dinner however, I look for street food and authentic little places, with next to NO tourists in them (hard to do). 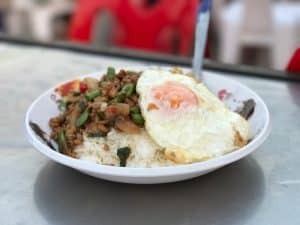 Street food dinner costs about 80 BHT for a good meal. That’s less than £2. I’ve even found some great little spots where it’s down to 50-60 BHT. Buy your beer from a Family Mart or a Seven Eleven and you will save money too. It’s about half price compared to some of the bars and pubs. If you are working and you have a lot on, take some time to yourself and try to plan your days and feed your inspiration. Try out the bar Zest, in the Conrad Hotel, south of the island. Happy hour is around sunset time, so head down at 5pm. Cocktails are 300 BHT, which is expensive for Koh Samui. That works out to about £7, but happy hour means buy one get one free, so £3.50 a cocktail. Result! The place is well worth spending that little bit more money to get away from everything and simply feel like you are in paradise. Sit there, watch the sunset and if that doesn’t help you clear your head, nothing will. 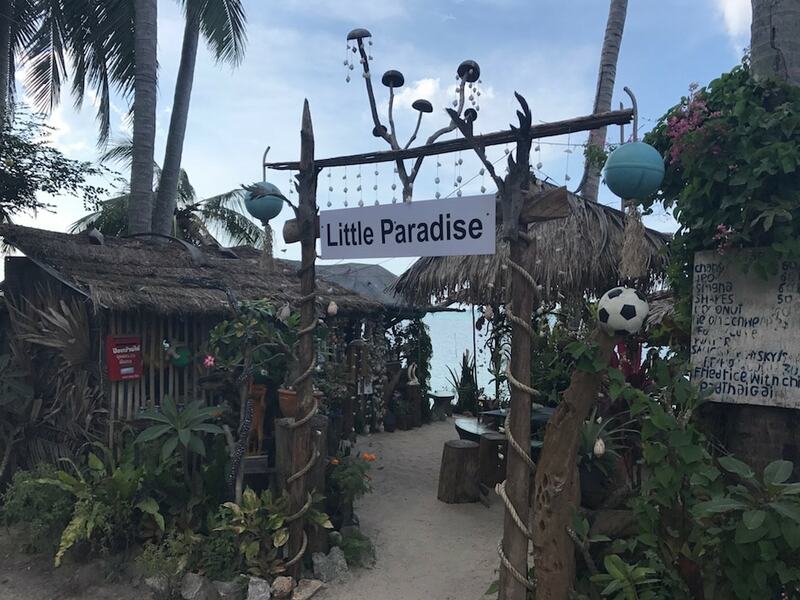 Bonus: Little Paradise in Koh Samui for Digital Nomads. It’s called Little Paradise and to be honest, that’s exactly what it is. A secluded little piece of beach, with a stilt mounted shack and platform overlooking the water. There are only about 4 or 5 tables, it’s tiny, but wow. It really is an amazing place to visit, get some food, have a couple of drinks and then sit on the beach and chill out for the afternoon. Really reasonably priced, food will cost you about 60 BHT per dish and beers are priced the same. It’s some of the best value for money you will find, considering the location. 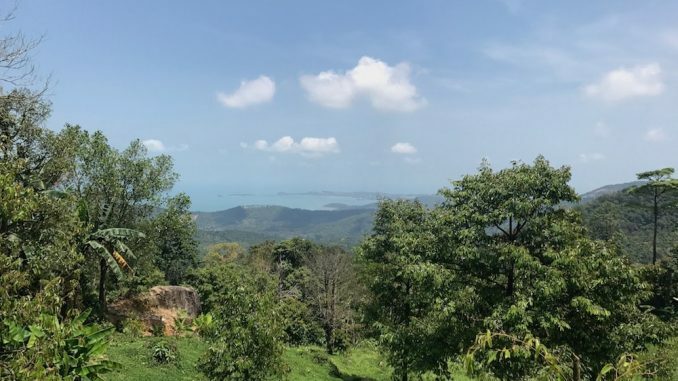 Go down there with your pocket wifi, get your laptop out and create something WOW in a surrounding that is simply unmatched in Koh Samui in my opinion. I loved this spot and wasn’t sure I should share it with you all, but I’m nice like that. Might even end up seeing you there. This is just a quick update on the island so far and I’m hoping to publish a more detailed one with info, places and more very soon. If you are in Thailand, I really recommend Koh Samui for Digital Nomads.